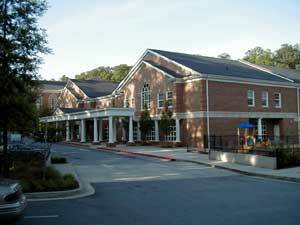 Our club dances in the Fellowship Hall of the Peachtree Presbyterian Church. 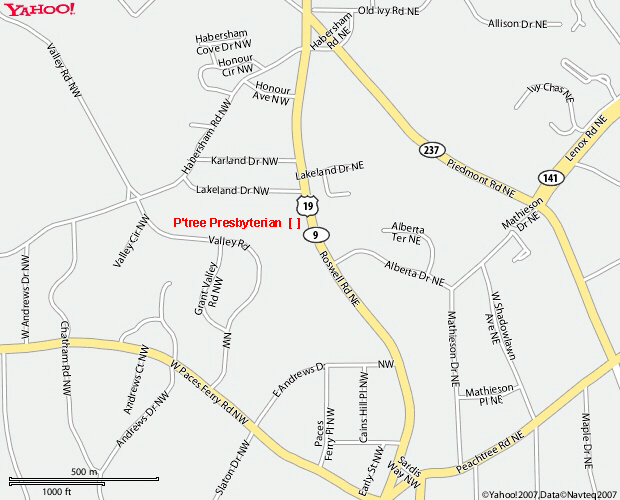 Located in the Buckhead area of Atlanta, in Fulton County, it is convenient to Sandy Springs, Dunwoody, and Roswell. The Hall where we dance is in the building to the right (North) of the Church, with signs pointing to the "Welcome Center". It has a children's playground just outside. As you enter the front of the building, you will see two curving staircases. Go up either one and down the hall to your left. Follow the sound of laughter, and you will find us in a large room on your right.